your saying leave it open. are airlifted in or out. or yellow placards on their doors. hand sanitizers, an occasional mask. like a bishop with his crosier. in suits and ties like businessmen. diet of broth or tasteless jello. Joan Colby has published widely in journals such as Poetry, Atlanta Review, South Dakota Review, The Spoon River Poetry Review, New York Quarterly, the new renaissance, Grand Street, Epoch and Prairie Schooner. Awards include two Illinois Arts Council Literary Awards, Rhino Poetry Award, the new renaissance Award for Poetry, and an Illinois Arts Council Fellowship in Literature. She was a finalist in the GSU Poetry Contest (2007), Nimrod International Pablo Neruda Prize (2009, 2012), and received honorable mentions in the North American Review‘s James Hearst Poetry Contest (2008, 2010). She is the editor of Illinois Racing News,and lives on a small horse farm in Northern Illinois. She has published 11 books including The Lonely Hearts Killers, The Atrocity Book and her newest book from Future Cycle Press—Dead Horses. FutureCycle has just published her Selected Poems. A chapbook, Bittersweet, is forthcoming from Main Street Rag Press next winter. And poured the milk. Whispered. Before he left while they were sleeping. Of the blast furnace. Molten steel. Incinerated. Nothing left to identify. The notes were meant for her alone. Or in good weather played outdoors. To render the pure steel of revelation. Low and hurried like a spy. County by county with brigand winds. Leaving me and the furniture exposed. To the north with muffled cymbals and drums. New cheeps like a nest of blown-down fledglings. Crosscountry dictation extending the nightwatch. Punching the button to mute. Armed and above it all. Of the deaf to love. Salamanders, turtles, mice, a ferret. Had presented to the world. From The Garden of Earthly Delights. So well in the coming years. No snakes. No snakes in the house. Of anything new or strange. I tell you again. No. Waiting for someone like you. The room, you’ll find him. Joan Colby’s books include Selected Poems [FutureCycle Press], Dead Horses [FutureCycle Press], The Lonely Hearts Killers [Spoon River Poetry Press], The Atrocity Book [Lynx House Press], How The Sky Begins to Fall [Spoon River Poetry Press], The Boundary Waters [Damascus Road Press], Blue Woman Dancing in the Nerve [Alembic Press], Dream Tree [Jump River Press], Chagall Poems [Seven Deadly Sins Press], Beheading the Children [Ommation Press], and Eleven Poems [Interim Press]. Her work has been widely published in journals including Poetry, Atlanta Review, GSU Review, Portland Review, South Dakota Review, The Spoon River Poetry Review, New York Quarterly, the new renaissance, Grand Street, Epoch, Mid-American Poetry Review, Prairie Schooner, Kansas Quarterly, The Hollins Critic, Minnesota Review, Western Humanities Review, College English, Another Chicago Magazine and others. 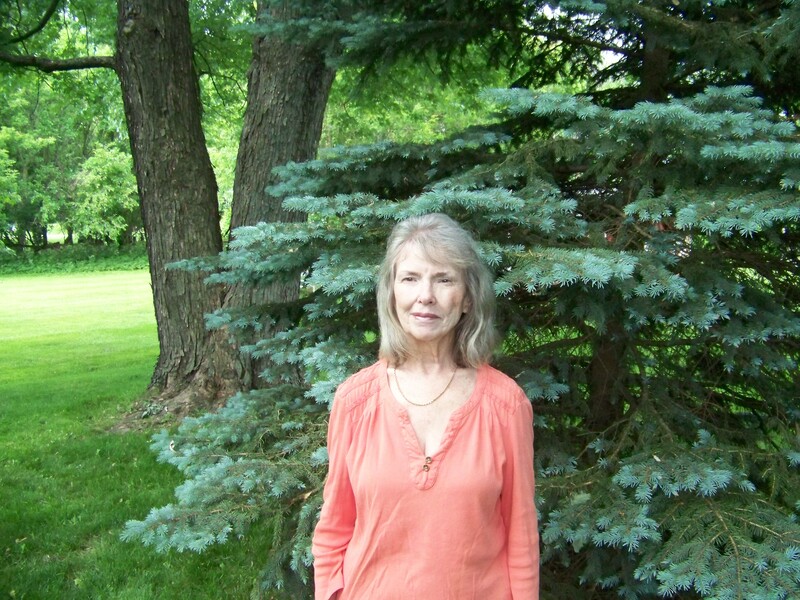 Her many awards include an Illinois Arts Council Fellowship in Literature, the Illinois Arts Council Literary Award, Stone County Award for Poetry, Rhino Poetry Award, and the new renaissance Award for Poetry. Her chapbook, Bittersweet, is forthcoming in 2014 from Main Street Rag. For over 25 years, Joan Colby has been the editor of Illinois Racing News, a monthly publication for the Illinois Thoroughbred Breeders and Owners Foundation, published by Midwest Outdoors LLC. She lives with her husband and assorted animals on a small horse farm in Northern Illinois. Easy exists in the contempt of hard. The woman who won’t take your calls. The bed where you sleep alone. The keys to a series of doors.